To ensure the best quality job our experienced trained technicians use top of the line paints in a class leading Down Draft paint booth. 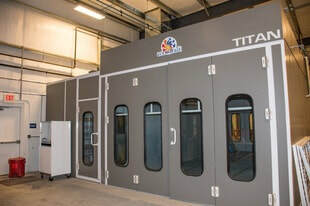 We use an Accudraft Prep 4000 station to prepare your vehicles panels to be painted in our Tech Savvy Titan Paint Booth. 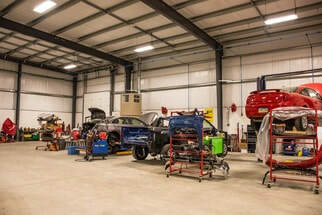 All Refinish technicians are trained threw I CAR, OEM, and Paint Manufacturing guidelines that our technicians get hands on training not only to insure a quality and safe repair but also to maintain the shops many certifications. Our technicians are trained in specific fields to offer the best work possible from a small repair to a very large repair. ​ All our technicians are trained in today's latest repair methodolgy threw I CAR. 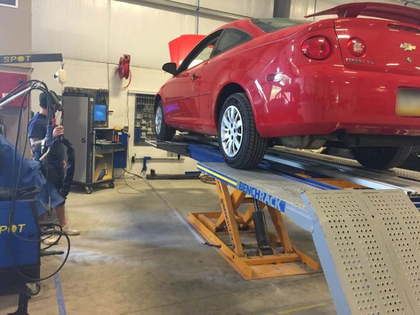 We use the latest and most advanced technology to restore your vehicle.